Hello. If someone gave you the link to this page, then they either thought you’d find it interesting, or were possibly attempting to do you a favour. This is a page about Libertarianism, from the viewpoint of someone who takes a broad view of Libertarianism as a morally complex phenomenon. Such a view is increasingly necessary, because the internet (or social media, more specifically) does not encourage balanced or nuanced discussions of such matters. Like most things, Libertarianism comes in a range of forms, and has characteristics that are both good and bad, depending on context and details. My points below will sound extensively negative, but I ask you to trust that they build toward a balanced conclusion which requires the prior points to make sense. I, in turn, will trust that you are an intelligent human being who can read an entire article before coming to their own conclusions. If you are already bristling that Libertarianism is not being wholeheartedly embraced as an ultimate moral good here, then you have a problem. You are what’s increasingly wrong with the world. Seek professional help, or at least a little perspective. You were probably given this link because you are clearly incapable of listening to a reasoned, balanced argument. If, on the other hand, you are fine with the idea that life’s complexities are often subtle things and that striking some kind of reasonable balance is often the best way forward in life, then please do read on. Of course, Libertarianism comes in many flavours, and now exists around the world. For that reason I’m not going to attempt a precise definition of Libertarianism, since such a definition would only leave some people in disagreement from the outset. Instead, let’s just say that Libertarianism – in principle, at least – is focussed on the complete prioritization of personal, individual freedom over all other things. One’s views on economics or any other matter should in principle be a secondary matter, if you take the idea of Libertarianism at face value, although that is seldom the case in real life. After all, human beings are naturally inclined to conflate distinct issues to make themselves feel good and “win” arguments. But for now, let’s just accept the face-value notion that Libertarianism is indeed supposed to be all about Liberty. Let’s quickly address a couple of “elephants in the room” before getting down to business. As I’ve mentioned, the internet doesn’t exactly encourage balanced, rational discussion, and most conversations with avowed Libertarians I’ve observed tend to rapidly devolve into one party (I’ll let you guess which) claiming that if you don’t agree with them then you must be ill-informed, unintelligent, or (gasp) a “Socialist”. Just for the record I like to read and own books by notable Libertarian writers, believe I can string a thought or two together coherently, and I am not a Socialist. More specifically on that last count I am a Social Futurist, but that simply means that I believe in the importance of community and environment as societal priorities (in addition to prizing technology, and believing a good life is one lived in accord with basic principles). I most emphatically do not subscribe to any Marxist notions regarding Class War, Public ownership of the Means of Production, forced redistribution of wealth, or equality of outcome (which I agree is very dangerous indeed, although I do firmly believe in the need for the ‘dampening effect’ of societal ‘safety nets‘). This first topic is one that wouldn’t interest most Libertarians, or indeed most people. It interests me greatly, however, because I am a strident Transhumanist. Transhumanism is generally understood to be defined (or at least well summarised) by the “Central Meme of Transhumanism” (CMT) expressed by notable Transhumanist Anders Sandberg as “That we can and should improve the human condition through technology”. The Chinese nation considers itself to be Socialist (regardless of whether you agree with them or not). Certainly no-one in their right mind would claim it to be Libertarian in any meaningful sense (although exploitatively laissez faire Capitalist might be fair). The Chinese government is also known to be pushing a program of genetic augmentation of future Chinese citizens, which is a Transhumanist project by definition. An ideology-neutral assessment of the situation would have to call this something like State-sponsored Chinese Transhumanism. If it became the most common global form of Transhumanism (which it easily could, given China’s population and the government’s ability to simply impose its will on the Chinese people), then a lot of people might say, in their ignorance, that State-sponsored Chinese Transhumanism is Transhumanism. I would disagree vehemently, insisting that it was a(n extremely prominent) variant of the Transhumanist idea. A specifically Chinese, Authoritarian variant. I disagree with Libertarians who try to “claim” the entirety of Transhumanism for themselves for exactly the same reason. You can be a Transhumanist. You can be a Libertarian. You can be both. But being one thing does not mean – and never has meant – that you must also be the other. Obviously I care about Transhumanism, but this problem within Libertarianism is much broader than that. I’m not saying that all Libertarians fall prey to this problem, but it is certainly worryingly common. The bottom line is that if you take their claims at face value, then Libertarians should favour your right to choose your own views and way of life for yourself, in every way and on every level. That’s a no-brainer, right? Then why are so many Libertarians so hell-bent on arguing that everyone else should believe what they believe? On insisting that others should live the way the Libertarians themselves want to live? That just because they want to dismantle the government, then no-one else should have a functional government either? There’s a lot that could be said here, but it all boils down to sheer hypocrisy on a breathtaking scale. Many Libertarians don’t want to simply live their own lives in peace without interference. They may say they do, but their behaviour is quite contradictory. They insist on having a say in how you get to live yours too, and are frequently extremely vocal about that insistence. If you think I’m wrong, call to tell me so on the day every Libertarian is silent about the views other people should or shouldn’t hold, and I might just agree. The most striking and dangerous form of Libertarian hypocrisy is its strange relationship to the world of business, economics, trade, and large corporations. As I mentioned earlier Libertarianism’s rallying call is all about personal freedom, because let’s face it, a call to rally around big business isn’t exactly going to light most people on fire without a little sleight of hand applied to the message. This relationship has been commented on at great length all over the internet, so let’s just cut to the chase: If Libertarians were truly opposed to all forms of centralized control, or in other words were only really concerned with personal Liberty, then they would oppose undue centralization of power wherever it is found. They would oppose major corporations every bit as much as mega-churches, or indeed government. In short, their views would be barely distinguishable from the more politically centrist forms of Anarchism. 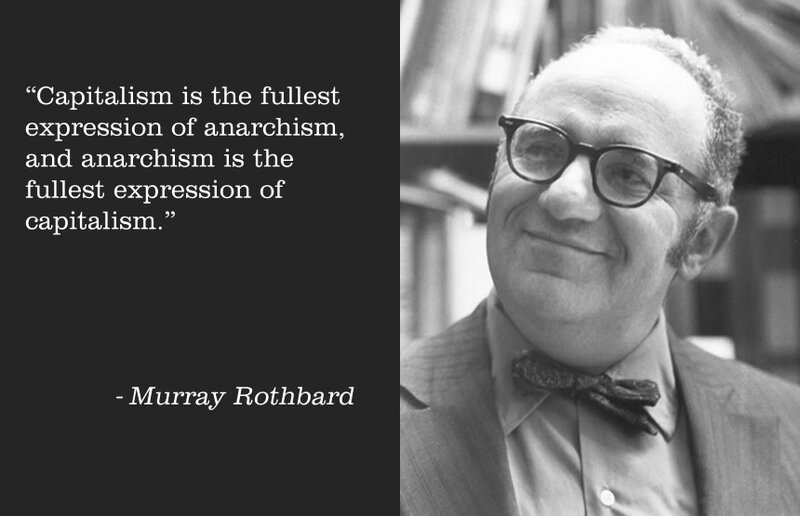 It is rather telling that when Libertarians use labels that make any mention of Anarchism, they invariably feel some need to highlight their particular support for Capitalism at the same time. The bottom line is that Libertarianism is primarily an American phenomenon, a global entity which has grown out of the peculiarities of American history and culture, and that culture is now – at its most overtly ‘Libertarian’ or ‘Neoliberal‘ – obviously defined by a serious commitment to corruption as a way of life. The entire structure of the American body politic is rotten to the core, and as long as Libertarians make a point of championing big business’ desire to eliminate governmental regulation, then they will remain passengers on the Titanic as it sails toward its fate. 4. Two Types of Libertarianism. One of them is Good. As I warned earlier, much of this article has been critical of Libertarianism. I do, however, take a balanced view of Libertarianism, and I do believe it is possible to be a Good Libertarian. For what it’s worth, I did consider myself a Libertarian for a few years as a young man, back when I naively took its claims at face value, and I have never lost my commitment to personal liberty. It’s the baggage, the lies and hypocrisy that I take issue with. So let’s see if we can find some sensible way forward, together, shall we? I take the view that Libertarianism is a good thing insofar as it actually lives up to its own rhetoric. Just for the record I would say exactly the same thing of Socialism, but I have even less confidence that Socialism can deliver on its promises. The simplest possible litmus test of that requirement is whether any given Libertarian is willing to call out dangerously over-centralized power wherever we see it, regardless of how that fits with other narratives – most particularly the common Libertarian infatuation with unregulated big business the Free Market. In short, a Good Libertarian is one who can demonstrate an understanding that major corporations need to be regulated to some degree, that markets need to be regulated to some degree, just as much as governments must be regulated, as a matter of preserving personal liberty. Your thoughts on Liberatarianism sounds both well-thought-out and informative. Good luck with a permanent leash on Capitalism’s inherent tendency to corrupt the political process. Then how much regulation & how much freedom? Doesn’t this default to the initial historical (American) social contract, or the English Magna Carta? I find your descriptions of Libertarians to be like that of Buddhists that can’t let anything go. You want the freedom to do the right thing unencumbered by rules and dogma. To embrace the future through technological advancement, and be able to decide everything on an “individual” basis and to be able to act on that desire at will. The modern American Buddhist is the same but wants to do this by the dissolving of the self. It’s the same tension as those that want to lead others along the “Way” and those that want to be left alone to follow their own path.